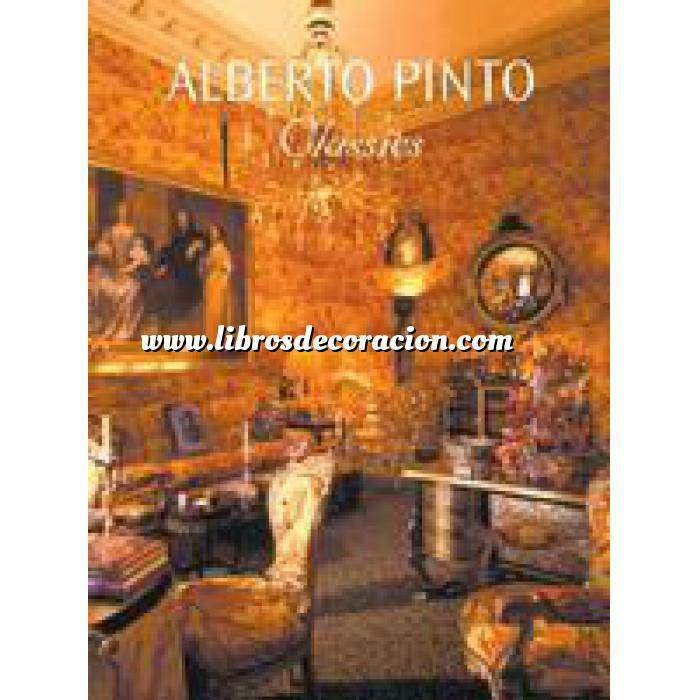 'Alberto Pinto Classics' offers us an intimate glimpse of Pinto's world - a world of exquisite luxury and opulence, a world in which, by Pinto's hand, elegance and abundance are brought to balance in harmonious accord. We are shown magnificent interiors of apartments in New York, mansions in Paris, villas on the Riviera, country houses in England, and palaces in Cairo. We are also brought to a ranch in the deserts of Mexico, and to the ocean side hills of Long Island's elegant Hamptons. Alberto Pinto has become one of the key signatures of great decor. before creating his studio in the 1970s, ran a photo agency specializing in architecture and decoration. 's in reports to Condé Nast group that Italy could deepen his sense of design. since then, with his Paris studio, he became a master in the art of design houses as for the richest and most famous of the highest international clients: private apartments Jacques Chirac at the Elysee Palace, sailboat Maurizio Gucci, the houses of Prince Khaled Bin Sultan Bin Abdulaziz and Prince Bandar ... This book presents the most spectacular interiors in the world and a classic end. Alberto Pinto, who grew in Morocco, holds the meaning of large spaces devoted to receptions, majestic rooms evoking a living ... A nostalgic atmospheres of "Central Europe" combined with a refined atmosphere that has grown nineteenth to the charms of the Orient. Apartments in Central Park, the summer residence in Marbella, Palace in Cairo, flat fields-de-Mars in Paris, Courchevel chalet ... Fifteen interiors are presented here in detail. With an international clientele including royalty is high, industry giants and State leaders designer Alberto Pinto: Clásiccs, authored by Philippe Renaud offers us an intimate view of the world created by Alberto Pinto, a world of exquisite luxury and opulence, a world in which, in the hands of Alberto Pinto, elegance and abundance reaching an agreement harmonious balance. It shows the magnificent interiors of the apartments in New York, Paris mansions, villas on the Riviera, villas and palaces in England in Cairo. shows also a ranch in the New Mexico desert and seaside hills of the fashionable Hamptons of Long Island.